Next time, when you bite into your favourite chocolate bar, just think how ancient the cacao tree is. A study suggests that the cacao tree is much older than previously thought of. “Studies of the evolutionary history of economically-important groups are vital to develop agricultural industries and demonstrate the importance of conserving biodiversity to contribute towards sustainable development. Here, we show for the first time that the source of chocolate, Theobroma cacao, is remarkably old for an Amazonian plant species,” James Richardson, tropical botanist at the Royal Botanic Garden Edinburgh, UK, and lead author of the study, said. Richardson, along with researchers from the University of Rosario and the University of the Andes in Colombia, the University of Miami, USA, and the United States Department of Agriculture (USDA), found that the Theobroma cacao is one of the oldest species in the genus Theobroma, having evolved around 10 million years ago. The early evolutionary origin of the species is good news. It suggests that cacao has had enough time to diversify genetically, with each wild population adapting to its local habitat. Wild populations of the cacao across the Americas may be treasure troves of genetic variation, which could be bred into cultivated strains to make the latter more resistant to diseases and climate change and perhaps even create new flavours of chocolate. Chocolate, produced from the seeds of Theobroma cacao, is one of the most popular flavours in the world, with sales touching $ 100 billion per year. But as global demand increases, there are fears that the industry will fail to cope with the increasing public demand for the product. The main problem, common to several other crops, is the lack of genetic variation in cultivated cacao, which makes it vulnerable to pests and blights. “After ten million years of evolution, we should not be surprised to see a large amount of variation within the species, some of which might exhibit novel flavours or forms that are resistant to diseases. These varieties may contribute towards improving a developing chocolate industry,” Richardson added. “We hope to highlight the importance of conserving biodiversity so that it can be used to augment and safeguard the agricultural sector. 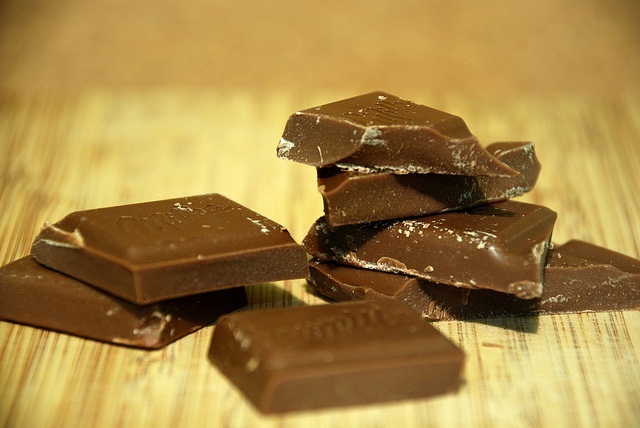 By understanding the diversification processes of chocolate and its relatives we can contribute to the development of the industry and demonstrate that this truly is the Age of Chocolate,” co-author Santiago Madriñán of the University of the Andes in Bogotá, Colombia, said.